Remember Tropic Thunder, one of the most hilarious movies of all time thanks in no small part to the unexpected comedic brilliance of Tom “Apple-Bottom Jeans” Cruise? Well, Cruise and fellow Tropic Thunder star Ben Stiller are set to team again for another romp through laughter fields with the upcoming film The Hardy Men. Produced by Night at the Museum director Shawn Levy, the film focuses on the grown up Hardy Boys, as the title leads one to believe. But as it’s a comedy, the two sibling sleuths no longer get along as well as they used to. Hilarity ensues. However, getting the film off the ground seems to be proving a bit difficult as reported to Starpulse by Levy. Hit the jump for more from Levy and thoughts on the movie. Levy said that seeing Cruise’s and Stiller’s chemistry instantly gave him the idea of casting the two as leads in a movie together. Levy also says that along with scheduling, figuring out the mystery that the grown up Hardy boys need to solve is also a key element to figure out before moving forward. Like Levy, the idea of seeing Cruise and Stiller together again sends my comedic sense a tingling. Stiller doesn’t always hit the mark with me, but every now and then he bloody well shatters that mark-Tropic Thunder of course being the prime example. 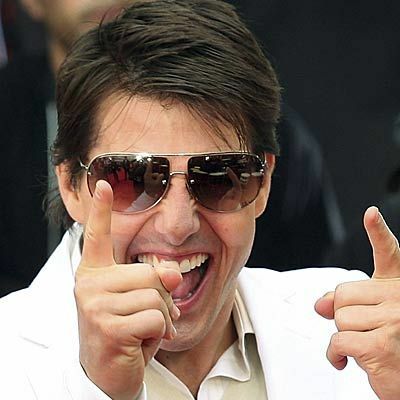 The movie really showed Cruise’s potential as a comedic actor and his apparent willingness to say, “F’ it! I’m going to dance it all away in a fat suit,” all in the name of hilariousness. Plus the idea of a Hardy Men film pulls me in as both a fan of the Hardy Boys books and a fan of well-done dysfunctional buddy films.